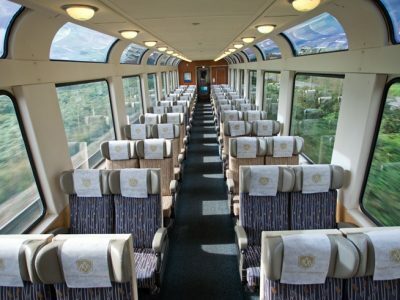 The Rocky Mountaineer is one of the most iconic rail journeys in the world, taking passengers through the stunnning landscapes of British Columbia and Alberta in Canada. Travelling between Vancouver and the Rockies via three different scenic routes, this 2-day or 3-day journey offers an unforgettable and relaxing way to explore the stunning Canadian landscapes. Choose a 2-day trip from Vancouver to Banff or to Jasper, including an overnight stay in Kamloops, or take the 3-day northern route via Whistler and Quesnel. All routes operate in reverse too and you can also now travel between Seattle and Vancouver on the Rocky Mountaineer. As specialists in tailor-made travel we can help you create an itinerary exactly to suit you – and the Rocky Mountaineer is one of Canada’s iconic experiences, not to be missed. Talk to our travel specialists to find out more. 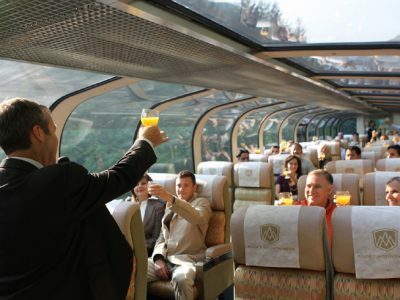 If you would like to include a rail journey in your holiday then you may also wish to consider the wider network offered by VIA Rail – operating a nationwide network, you can travel right across the country from Vancouver to Halifax – via Jasper, Toronto and Montreal – in 6 days. Shorter routes from Winnipeg to Churchill or Jasper to Prince Rupert offer the chance to kick back and relax, making the journey part of your holiday experience.